A professor and dual certified nurse practitioner in pediatrics and adults. She specializes in camp nursing, pediatrics, and children with bleeding disorders. Her doctoral degree is in educational and organizational leadership. Dr. Gaslin periodically works as a camp consultant and legal consultant and publishes the majority of her work in the areas of camp nursing, service leadership, and pediatric development. Dr. Gaslin previously served as the Medical Director at The Center for Courageous Kids where she worked with children with chronic disease, disability and life-threatening illness. She currently serves as the Executive Director for the Association of Camp Nurses. 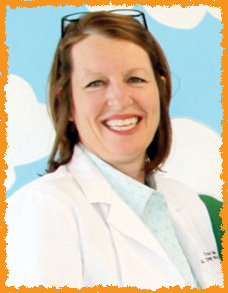 We are excited to have Tracey as a part of the All Children Pediatrics team!